Ty stars as Steve Layton, a brash young newspaper reporter. 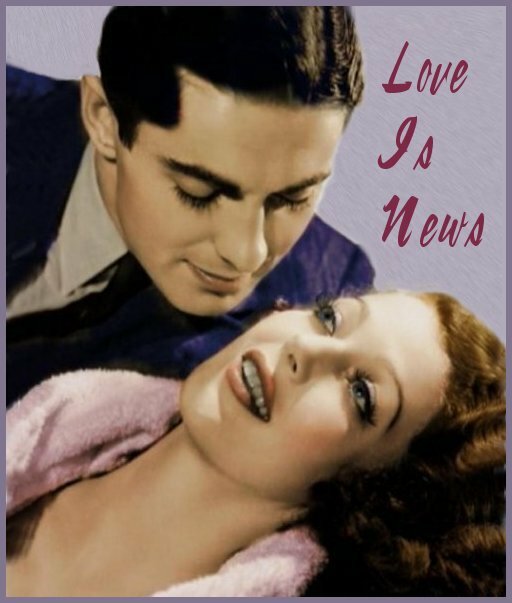 His personal life gets turned upside down when he is assigned to get the inside story on whether wealthy heiress, Toni Gateson (played by Loretta Young), intends to marry Andre de Guyon (played by George Sanders). His demanding boss (Don Ameche) has threatened to fire him if he fails with getting the story. Steve smooth-talks his way into her confidence, and she realizes that he is "after a story" only too late. Feeling tricked and used, she seeks revenge. She announces that she has broken off with the Count in order to marry Steve. She also slyly remarks that she has "settled a million dollars" on him, as a wedding gift. Toni's bombshell ends up in every newspaper but Steve's, and his boss promptly fires him for failing to report his own "scoop". He implores her to retract her statement, but she refuses. Having fallen in love with him, she continues her charade. Later, Toni lands in jail for speeding. Steve comes to the jail to see her, and she tricks him into looking in her car for something. Once she sees that he is following her request, she yells for the jailer to arrest him for trying to burglarize her car. They end up sparring from across their cells, and, once again, they are in the headlines. Once out of jail, Steve devises his own plan to embarrass Toni. He accepts an offer to go on stage as "the great lover", making light of the heiress. Meanwhile, Toni learns that the Count has talked her cousin into marrying him. To ruin those marriage plans, she then pretends to love the Count, and, ultimately, he is exposed as the fortune hunter that he is. Other complications to the story occur before everything gets all sorted out.